ModelCollect AS72115 1/72 Russian A222 130MM Coastal Defense Gun "Bereg"
FORCES of VALOR 1/32 scale KING TIGER 333 HEAVY TANK Germany 1944 DIECAST MODEL OOP RARE. 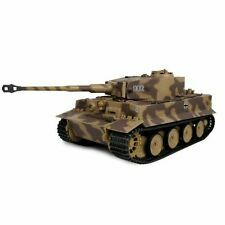 Ultimate Soldier Tiger 1 German WWII Tank 1:18 Diecast No Box - READ! REPUBLICAN GUARD, BAGHDAD 2003. IRAQI T-72 TANK. FORCES OF VALOR. 1:32 SCALE, DIECAST. NEW IN UNOPENED, SEALED BOX. I THINK THESE ARE ALL GALOOB ONES. Char Panzer IV modifié. We speak english. Char Leclerc. We speak english. Solido/Verem German Tiger Tank with some brown mud camouflage! Pre-owned war game veteran and in good condition with some minor paint loss and the number decals on the turret have come off one side and flaked off the other side partially. Comes with removable radio antenna! Made in France! Diecast metal! Metal tracks! Loose without box. Make sure to check all of the pictures! NOTE: This is an ORIGINAL early French Solido and not one of the current Chinese versions that have the small green and yellow boxes! Thanks for looking and good luck bidding! Custom Modified Tank Museum / Solido German Sdkfz 251 Hanomag with METAL “nebelwerfer” rocket launcher!! Pre-owned war game veteran in good condition with weathering! The rocket launcher is METAL and can rotate and elevate! The launcher is front heavy and doesn’t want to stay up very well and might need to be modified by you. Make sure you have some basic modeling skills if you are interested in bidding on it. The MG42 machine gun is METAL and removable! The vehicle is Diecast metal! Working Metal tracks! Make sure to check all the pictures for condition. Thanks for looking and good luck bidding! Kit monté de camion militaire de dépannage. Véhicule miniature échelle 1/50. Char Panzer IV dépannage. We speak english. VINTAGE 1973 BRITAINS DIE CAST 1/32 SCALE GERMAN FIELD GUN no 9732 PAK 38. Condition is Used. Shipped with USPS Priority Mail. Plastic has little damage and loose in box. FORCES OF VALOR. 1:32 SCALE, DIECAST. RUSSIAN T34/85 EASTERN FRONT TANK. Eastern Front, 1941. BASTOGNE 1944. FORCES OF VALOR. U. S. WILLYS JEEP. CHECK OUT PHOTOS FOR MORE DETAILS. Char Panzer IV avec canon anti aérien. We speak english. 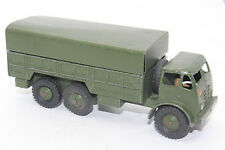 1/72 scale model military vehicles. Be sure to add us to your favorites list ! Char Sherman avec rouleaux anti-mine. Char Tigre monté avec un obusier. We speak english. Vendu en l etat d occasion ,sans sa boite, tres bel etat ref 46 catalogue parade ( voiture en resine ). Char Panzer IV obusier avec blindages latéraux. We speak english. Dragon Armor 1/72 Sherman M4A2(76)W Red Army 2nd Tank Army Berlin 1945 60360. Le CANON LONG TOM se vend dans une autre annonce. ANYONE CAN OWN ANIMALS.LOVE AND CARING FOR THEM IS THE ANSWER. Most are rescued. Char Panzer G avec tourelle modifiée. We speak english. Ultimate Soldier German Panther WWII Tank 1:18 Diecast No Box - READ! 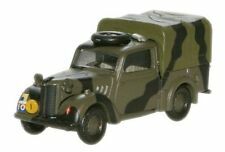 "LE F 594 W SIMCA EST UN CAMION DE TRANSPORT DE TROUPE MILITAIRE ". L'EXEMPLAIRE SIMCA PRÉSENTÉ EST EN TRANSPORT DE TROUPE DE 1965. Le légendaire camion FRANÇAIS SIMCA MILITAIRE F 594 W. CES "SIMCA" DE TRANSPORT SONT FABRIQUÉS JUSQU'EN 1978. Ultimate Soldier Panther IV Ausf.G German WWII Tank 1:18 Diecast No Box - READ! 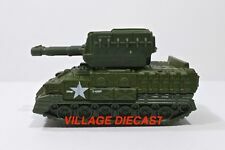 FORCES OF VALOR UNIMAX Matilda Mk IV DIECAST TANK 7.5"